www.0-360.com: 0-360 offers 360 degree lens, which is a one-shot panoramic camera mirror for making virtual tours. It's product 0-360 One-Click Panoramic Optic can capture entire 360 degree panoramic images. Those images are fully supported by Tourweaver. http://www.cogitosolutions.com/ - Cogito Solutions Ltd. is established in year 1998, specifying business is software distribution, computer consulting and computer programming in Hong kong and Asia. Headquartered in Hong Kong, Cogito Solutions Ltd. is now a leading computer distribution and consulting firm in Asia. Currently, we have offices in China, Singapore, Taiwan and Hong Kong serving customers from the regions and Thailand, Indonesia, Vietnam, Malaysia, Bangladesh, India, Brunei etc. www.360texas.com -The leading Fort Worth Texas USA Virtual Reality Company since 1998, who provides professional commercial virtual tours for the Tourist industry. They help moderate Easypano Panoweaver Forum by providing technical guidance for other world wide panorama photographers. www.agnos.com - The Agno's Heads are a ground and aerial panoramic head that are compatible with Panoweaver to shoot any images for panorama stitching. www.centralimagehost.com - Central Image Host provides a robust and flexible image hosting and virtual tour publishing solution for the Professional Virtual Tour Photographer; Residential Real Estate and Commercial. Partnering with Easypano we are introducing and supporting Easypano software for our 360x360 Photographer Network as a premier stitching and VT publishing software solution. Manfrotto: Leaders in professional camera and lighting supports. Manfrotto Panoramic Heads are compatible with Panoweaver to shoot fisheye images for panorama stitching. Marc Kairies Panorama Systeme - Roundshot German representative. Sell panorama system including Roundshot, EYESCAN, KARLINE, GRIGULL. 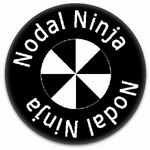 www.nodalninja.com - Nodal Ninja offers cost effective QTVR panoramic tripod heads, rotators and levelers for all skill levels. These heads are compatible with Panoweaver to shoot 2-3-4-6 fisheye images for panorama stitching. Panoguide.com: the guide to panoramas and panoramic photography. James Rigg, the owner of Panoguide ever visited Easypano office on Dec, 2004.
http://www.panoscan.com - Panoscan Inc. is a manufacturer of the worlds fastest digital panoramic cameras. The images captured with Panoscan can be imported into Easypano Tourweaver and create an interactive virtual tour. Thanks Prof. Helmut Dersch for his excellent ptviewer. http://wāww.roundshot.ch - Various types of Roundshot panoramic cameras. The panoramic images from Roundshot are supported by Easypano Tourweaver. TBK in Germany is the best and oldest friend of Easypano, also authorized Easypano affiliate partner. The Ventura Educational Systems website features educational technology and instructional software for K-12 schools, community colleges and colleges and universities. independent VR Producer. Partnered with Easypano, VRguild introduces Easypano technology to their members. http://www.neocamera.com - Digital camera buying guide with in-depth camera reviews and a complete database of digital cameras and lenses to search by features or specifications. http://www.neopanoramic.com/ - Neopanoramic is the hub for everything you need to make a panorama photo. Find complete tutorials, recommendations for panorama heads and tripods, plus reviews of the latest panorama software. http://3rinfotech.co.in/ - 3R Infotech is a leading IT Solution Company in India. Its offerings cover the entire range of IT that delivers end-to-end solutions that can manage and support customers' IT systems across the entire value chain. http://www.softense.co.il/ - Softense Ltd. is a software reseller and distributor in Israel, specializing in providing international software licensing to commercial and institutional customers. http://www.anyware.co.il/ - Anyware is a worldwide software reseller from Israel. http://www.colorcassettes.com.mx/ - Color cassettes is a Mexico company offers solutions to integrate your ideas in cinema, radio and television. http://softlinegroup.com/ - Softline is a leading global IT (information technology) service and solution provider operating in different markets all around the world including Russia and CIS, Latin America, India and Asia. Its services include end-to-end technology solutions, software licensing, hardware products and services. International Association of Panoramic Photographers(IAPP) - the leading professional organization for panoramic photographers located throughout the world. Easypano is a member and sponsor of IAPP. Allgraphicdesign.com - Largest resource for graphics and creative professionals on the internet. Dpreview is an independent resource dedicated to the provision of news, reviews and information about Digital Photography and Digital Imaging published at the Internet address www.dpreview.com. www.graphics.com - Graphics.com is the reference site for news of all kinds in the graphics space. www.panoramas.dk - Hans Nyberg, a commercial photographer in Denmark, makes immersive panoramic images more known among the general public. www.showround.com - The leading producer of virtual tours on the internet for hotels and properties using all formats. Steve's Digicams: The consumers best source of digital camera information and news. www.vrmag.org - VRMAG is the premier online magazine dedicated to exploring the people, places and events of the world with 360-degree virtual reality (VR) photographic panoramas. If you would like to be one of our partners, please contact us at support@easypano.com. We would be much appreciated if you could add Easypano link in your website by embedding the following scripts. <a target=_blank href="/"><img width=88 height=31 border=0 src="/images/logo88.gif" alt="Panorama and Virtual Tour Software developer"></a>Easypano is one of the world's leading virtual tour solution providers, which specializes in developing <a href='http://www.easypano.com'>panorama software</a> and <a href='http://www.easypano.com'>virtual tour software</a>. Easypano is one of the world's leading virtual tour solution providers, which specializes in developing panorama software and virtual tour software. <a target=_blank href="/"><img width=120 height=60 border=0 src="/images/logo120.gif" alt="Panorama and Virtual Tour Software developer"></a>Easypano is one of the world's leading virtual tour solution providers, which specializes in developing <a href='http://www.easypano.com'>panorama software</a> and <a href='http://www.easypano.com'>virtual tour software</a>.